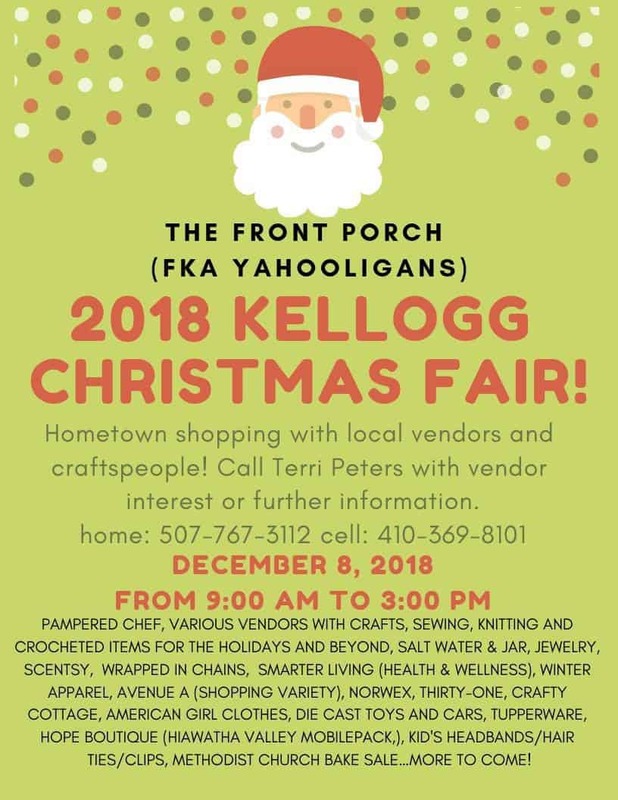 The Front Porch will be hosting this year’s Kellogg Christmas Fair. The fair welcomes an assortment of local vendors and craftspeople each year. This is a great opportunity to find great items for the holiday season.